The introduction of BMW G310 R, one of the most awaited motorcycles in the Indian market has been deferred to 2018. The delay is caused by the limited number of dealerships in India. BMW Motorrad entered India earlier this year with their range of CBU products. However, the most affordable offering from the brand, the G310 R, was not in the line-up. The G310 R is being produced at the Hosur plant of TVS. The motorcycles are exported to the US and the European markets but the launch for the Indian market has not yet been confirmed. India has only 4 BMW dealerships in the main cities and according to Vikram Pahwa, president of BMW India, the Indian market is not yet prepared for the launch. BMW says that the brand does not have adequate retail infrastructure for the launch of the motorcycle. BMW currently sells their complete range of motorcycles as CBU (Completely Built Units) in India. The brand is currently in process of identifying new locations for opening showrooms in the country. 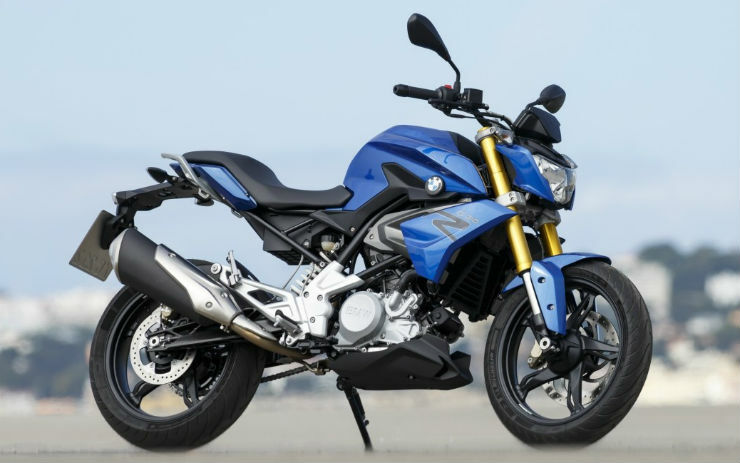 The BMW G310 R is a mass segment motorcycle and with only four showrooms BMW would not be able to cater to the mass segment in India. BMW has developed the G31o R jointly with TVS. The G310 R is powered by a single-cylinder, liquid cooled engine that is reversed positioned to give compactness to the machine. The engine produces a maximum power of 34 Bhp at 9,000 rpm and peak torque of 28.4 Nm at 7,500 rpm. There will standard safety features like ABS and disc brakes on the G310 R.
Interestingly, TVS will soon launch the Apache RR 310S in the Indian market. The fully-faired motorcycle is based on the G310 R. Other motorcycles based on the G310 R like the adventure motorcycle G310 GS will also be delayed due to the late arrival of the G310 R in the market.